MLS# 190004937 - 14486 Calle Nublado, San Diego, CA 92129 - Abacus Properties Inc. Courtesy of RE/MAX United, Bibiana Rico. Pride of Ownership. A must see home in Rancho Penasquitos with magnificent Views!! Ocean and Amazing Sunset Views, enjoy the floating hot air balloons in the afternoon and then the twinkling lights in the evening. Backyard entertainer’s dream the perfect setting to host a family gathering or time to sit and relax your favorite story book. Home features:Gourmet kitchen, custom backsplash, granite counters, recess lights, water softener equipment, stainless steel appliances, granite flooring and wood floor. Please, send me more information on this property: MLS# 190004937 – $924,999 – 14486 Calle Nublado, San Diego, CA 92129. 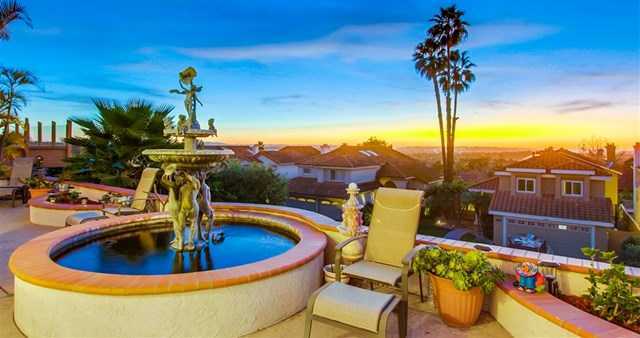 I would like to schedule a private showing for this property: MLS# 190004937 – $924,999 – 14486 Calle Nublado, San Diego, CA 92129.